Any feedback on this fairly new reference? Anything new or not covered in the several other references on the Legion Condor? Had the chance to look through one at the SOS...it seemed to be a compilation of other published works. 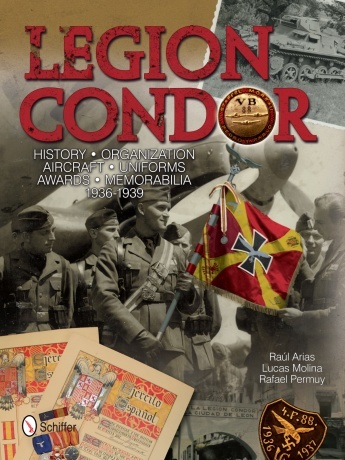 The Legion Condor has been very well covered, especially from Spanish sources (from the material available) unless it has new material that was uncovered form private collections, I doubt there will be anything of use if one owns a couple copies of older edition books.